Houseless, not homeless! : How to teach ... homelessness - Houseless, not homeless! How to teach ... homelessness - Houseless, not homeless! 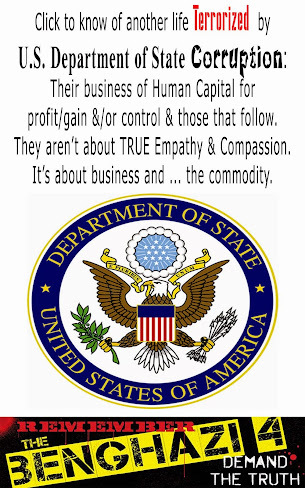 In the United States of America, a once well respected, Creator fearing country, we used to at least seem to care about our fellow human being. Now, the U.S.A. has taken on a new role with being a leader in placing band-aids on severe wounds - so to speak. I asked some school instructors in the U.S.A. to know if indeed the U.S.A. school system is sharing with students the real world out there concerning "The Houseless" population. Should the U.S.A. be doing more to HELP "The Houseless"? 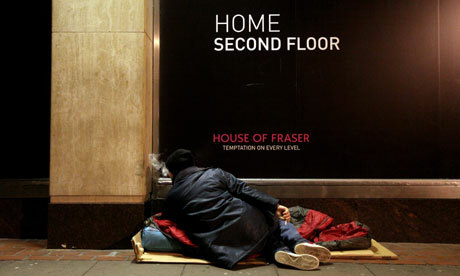 The latest figures show that the number of rough sleepers in the UK has risen by 23% in the year to autumn 2011 and the problem is no longer confined to London. Sleeping on the streets is just the tip of the homeless iceberg: 75,000 children in the UK will wake up homeless on Christmas morning, and 1.6 million children live in housing that is overcrowded, temporary or run-down. Last week's census data reveals that the proportion of homes rented privately has soared by 69% since 2001, and 44% of British people believe their children won't be able to afford to buy their own home. Austerity politics, benefit cuts and the chronic housing shortage mean the situation is likely to worsen, and so it's vital that young people understand the meaning and causes of homelessness. The Guardian Teacher Network has some powerful resources to help your students explore issues surrounding homelessness in class. Crisis– the national charity for single homeless people – has created a series of deeply engaging lessons based on Robert Swindells' teen novel Stone Cold, which is a key stage 3 national curriculum text. The book tells the story of Link, a northern lad who runs away from home and makes his way to London, where he quickly runs out of money and ends up homeless. The first lesson, Causes and Consequences, uses Link's experiences to explore reasons why people – especially young people - become homeless. Hidden Homelessness helps students to understand that homelessness is not always about living on the streets, but staying in hostels, B&Bs, night shelters or sleeping on floors of friends or relatives and the terrible effect that can have on people's lives. These issues are investigated in more depth through the character of Gail, a reporter working undercover to find out more in What is Homelessness. The last lesson, Being Invisible, looks at how people who are homeless may feel that people look straight through them and is designed to help students understand the emotions which someone who is homeless may feel. Crisis has also prepared some really thought-provoking PowerPoints, with accompanying lesson plans, on the problem of hidden homelessness, which looks at the cost of privately renting a room in a shared house, and the meaning of homelessness. Young people will find this short video of a real-life Link, Scott at Crisis, stirring. In the film, homeless teenager Scott Ashley LittleJohns speaks about Crisis at Christmas and the new ambitions he developed there after sleeping rough and being in hostels. For younger students, Crisis has created this lesson plan on the meaning of home and homelessness. Key stage 2 students can also explore the issue of conflict in the home, one of the major causes of homelessness for young people. Photovoice has shared Through the eyes of Young Homeless People, a selection of activities and project ideas using 20 captioned photographs taken by homeless young people in Glasgow. The digital photography exercises in the activities will really get students thinking about the issues around youth homelessness. Teachers can also order postcard packs of the photographs by emailing clare@photovoice.org. Students who are interested in the power of photographs to bring about social change may be interested in entering the Amnesty Young Human Rights Reporter of the Year competition, which this year has a new photojournalism category. Find this Photojournalism lesson plan and enter the competition by going to http://www.amnesty.org.uk/youngreporter, where you can also enter the other categories of the competition. The Big Issue has developed a set of assemblies as a direct response to teachers contacting them who wanted to teach their classes about homelessness, but were at a loss as to where to start – and to debunk myths and untruths about homelessness that are hard to put straight later in life. See an interactive key stage 2 assembly and one for key stage 3, which have been designed to educate students about homelessness and the role played by The Big Issue in helping to provide homeless and vulnerably housed people with a legitimate income. Also find this accompanying PowerPoint of images and an inspiring video here on the Big Issue website. Housing and homeless charity Shelter has resource material to help secondary school-aged students to find out what homelessness is and why people find themselves in housing need. For geography lessons, find arguments for and against building more homes as preparation for a class debate on new development. Shelter has created a whole bank of cross-curricular whiteboard activities for all ages in their classroom kit.